You have just bought a new electrical appliance? Great! But your joy of the new purchase is somehow being spoiled, because you have no idea how to install or mount it? Or your warranty won`t be valid unless the device is installed by specialists? Yes, such situations are quite common. Before you think that this turns out to be a big problem, and before you feel helpless, call HappyAppliances. Our company specialize in installing various electrical appliances and our experts will be glad to respond to your case. For the large and expensive appliances (such as washing machines, dishwashers, refrigerators, etc.) an authorized installation is required, in order for the warranty card to be valid. No one wants to lose the benefit of having a warranty, don`t you? After all, what is the point of having it, when the manufacturer can reject it , because of this? This is how the engineers at HappyAppliances can help you. We will not only make the installation of the respective electrical appliance, but we will also issue a document, certifying that it is properly installed in accordance with the requirements of the manufacturer and all the conditions for using the warranty are kept. WHY CHOOSE HAPPYAPPLIANCES FOR THE INSTALLATION OF YOUR ELECTRICAL DEVICES? Well, it looks like your problems are over. After the visit of our engineer, the only thing that you need to do is press the switching on button and enjoy using your new appliance. It is annoying to buy an appliance and wait too long before you start using it, just because the specialist for the installation is delaying it for some reason. We are aware of your justifiable impatience and we do not have the intention to misuse it. 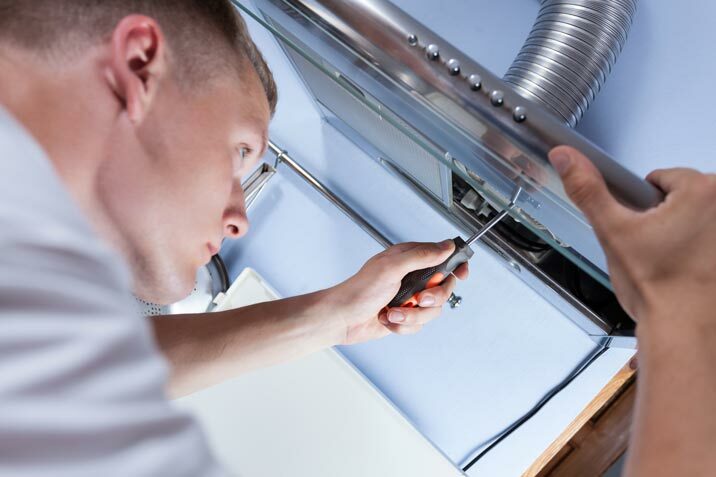 On the contrary – we will book a visit for you within a short period of time, which is convenient for you, so that we can make the installation, in order for you to start using your new appliance, as quickly as possible. Unfortunately there are companies that take advantage of the customers and require higher amount of money than they should just because the appliance has to be installed in accordance with specific requirements. If you choose to put your trust in HappyAppliances, you will not find yourself in the above situation. Our engineers will fulfill the service at an affordable price, without lowering down the quality of their work. It is really important for us that our clients are satisfied. Our work code requires not only to visit you, do the job, take our remuneration and leave in a hurry. We will install your electrical devices, but we will also be happy to answer all of your questions, as well as give you a valuable advice for the future exploitation.